a part of speech indicating action an unchanged verb. In English it usually includes the word “to” – to be, to swim, to eat, to live, etc. 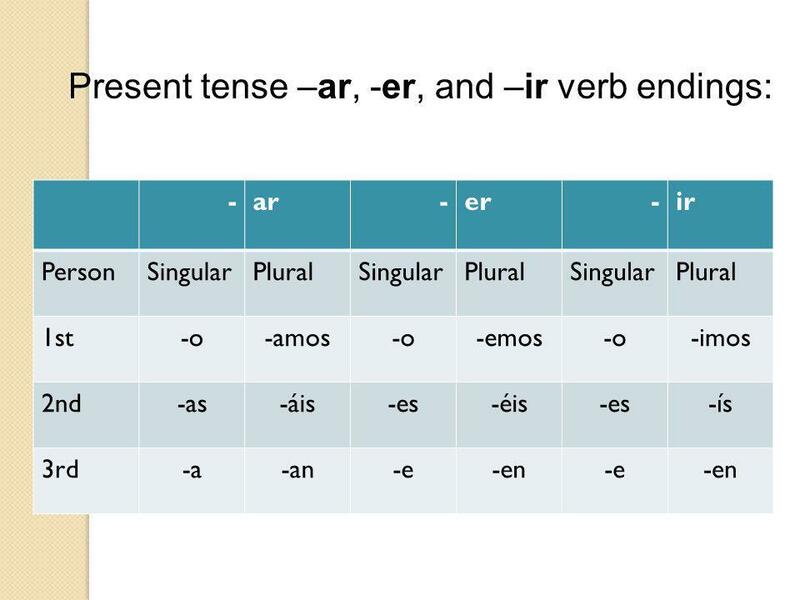 In Spanish all infinitives end in either -ar, -er-, ir. To change the verb from the infinitive to a form that matches the subject. 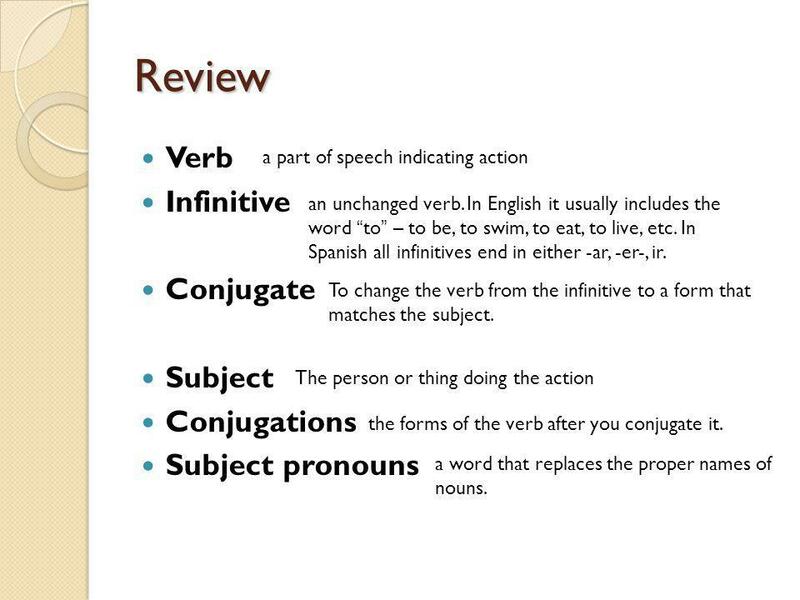 The person or thing doing the action the forms of the verb after you conjugate it. a word that replaces the proper names of nouns. 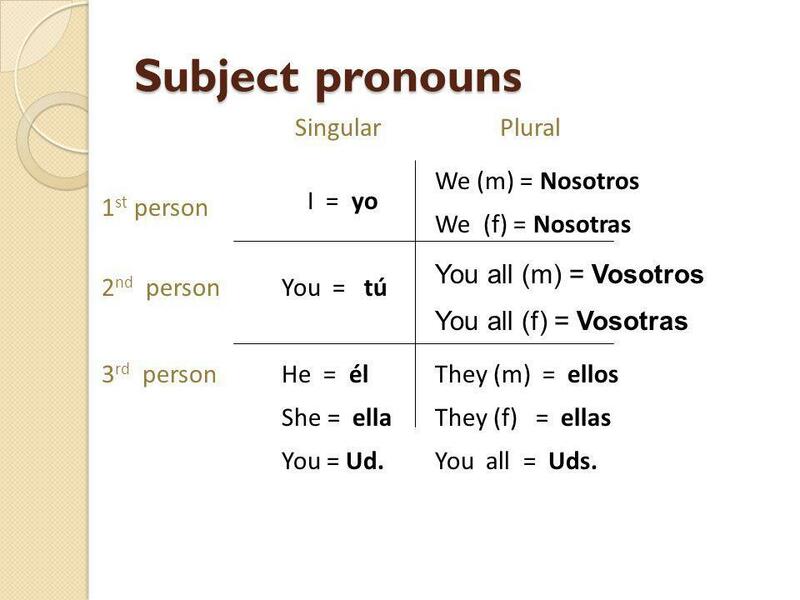 I = yo 1st person You all (m) = Vosotros 2nd person You = tú You all (f) = Vosotras 3rd person He = él She = ella You = Ud. They (m) = ellos They (f) = ellas You all = Uds. “Chop suey” – take off the ending, -ar, -er, -ir you are left with the stem of the verb hablar – ar = habl (the stem) “schmoosh” – add on the appropriate ending to match the subject. But What Are The Endings? 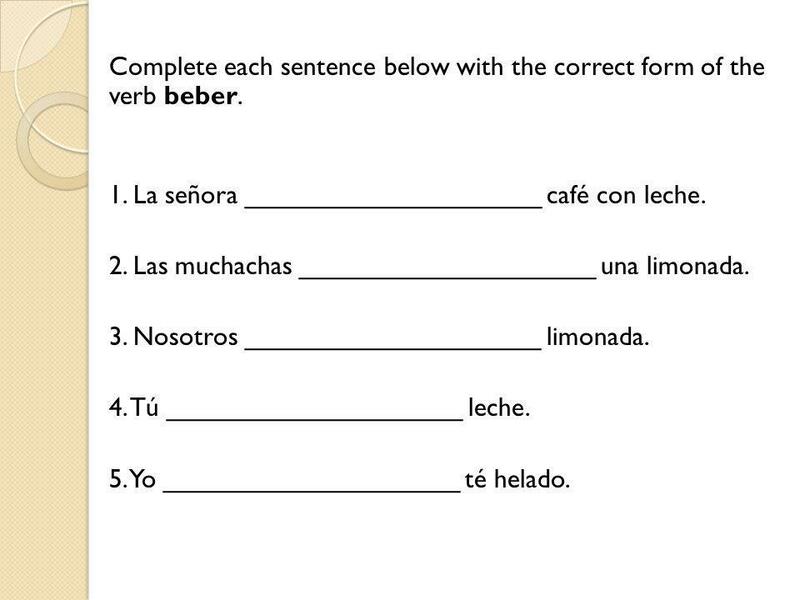 7 Complete each sentence below with the correct form of the verb beber. 1. La señora ____________________ café con leche. 2. Las muchachas ____________________ una limonada. 3. Nosotros ____________________ limonada. 4. Tú ____________________ leche. 5. Yo ____________________ té helado. 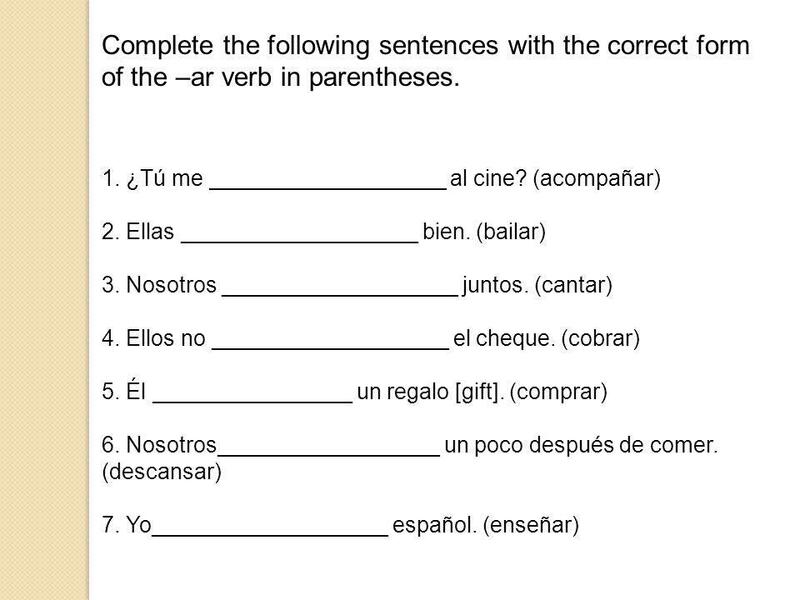 9 Complete the following sentences with the correct form of the –ar verb in parentheses. 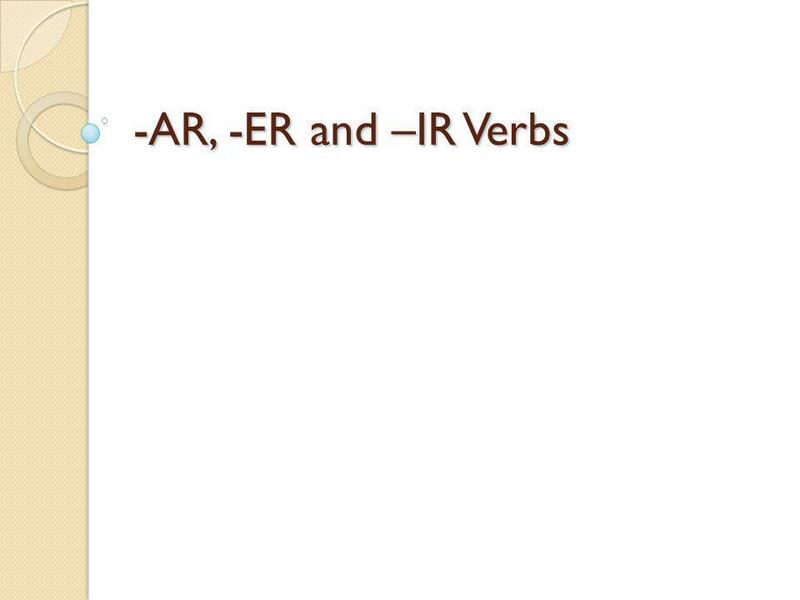 Descargar ppt "-AR, -ER and –IR Verbs." 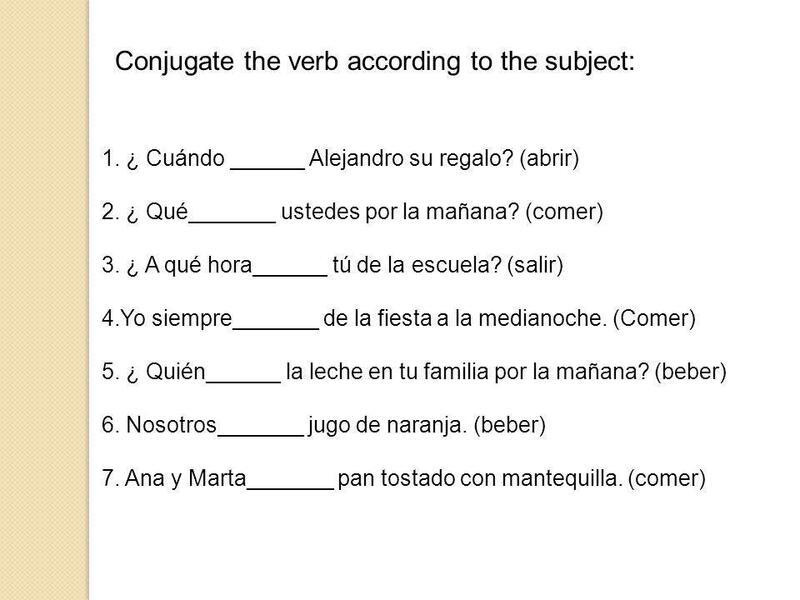 Objective: to be able to identify subjects and proper conjugations. Bellwork: Bellwork: 1.Where were the 2 men from that were trying to illegally immigrate? 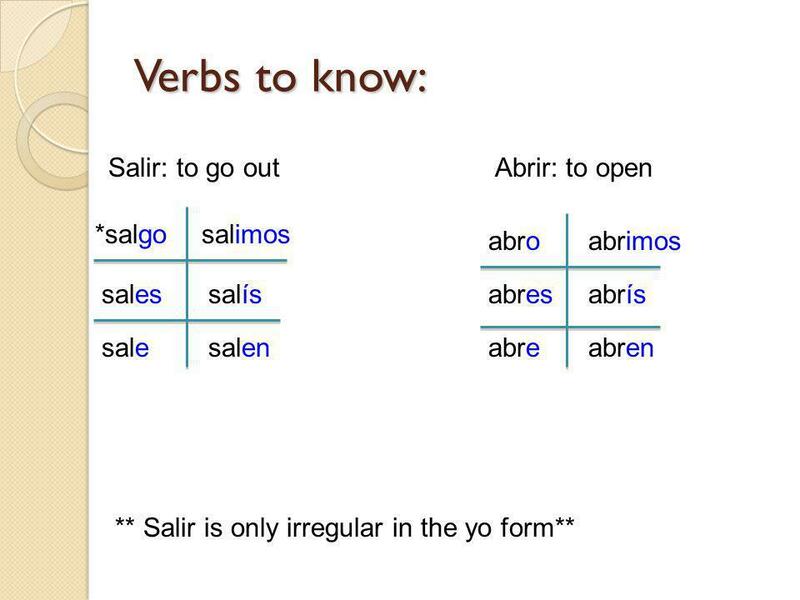 GRAMÁTICAGRAMÁTICA Present tense of regular –ar, -er, -ir verbs. 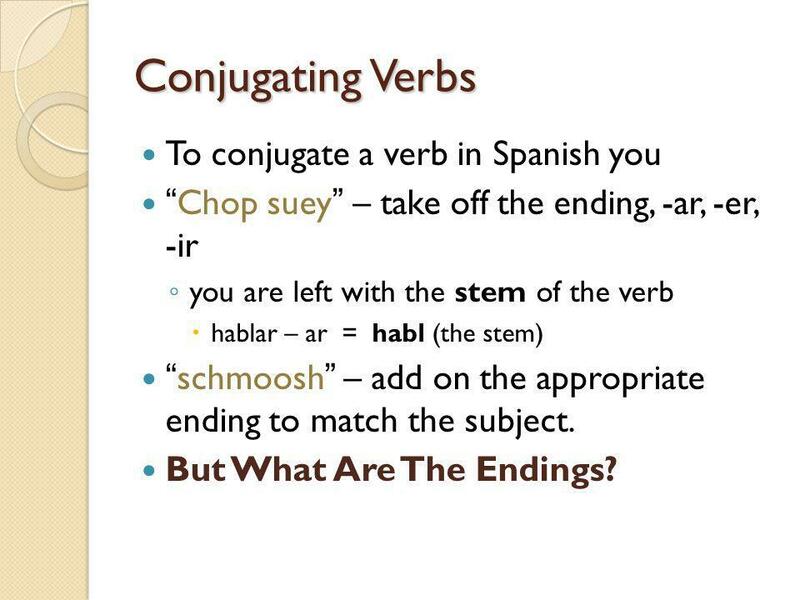 Verb conjugation What is it and why does it matter?